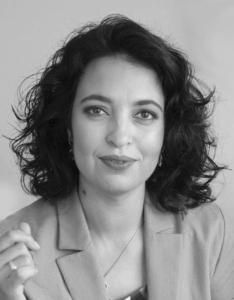 Sevdalina Aleksandrova is a lawyer-mediator and one of the leading mediation trainers in Bulgaria, providing certification trainers for mediators, trainings in dispute resolution and negotiation for lawyers, judges, and managers. She has extensive experience as a manager and expert in domestic and international project. One of her key areas of contribution is the establishment and development of the most successful mediation programs in Bulgaria, including court mediation centers nationwide, commercial mediation centers, etc. For over 13 years she has been organizing key professional initiatives and events promoting mediation, including the first national mediation competition for students. She also served at the legislative committees in charge of the mediation legislation in Bulgaria. She now runs the Agreements Association providing mediation and negotiation trainings, consulting and mediation services to businesses and families.